This is a story about sandwiches and the scarcity mentality. 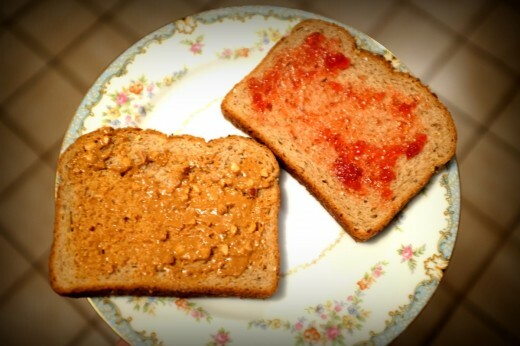 I’ve been making peanut butter and jelly sandwiches regularly since middle school. I have to admit they were pretty bad and could have tasted much better. And only now do I finally realize why I was making such lousy sandwiches. My sandwiches tasted okay, and I never thought much about it. Until I got married. My wife watched me make a sandwich one day and commented about the tiny volume of jelly I put on, asking me if I wanted more. Her sandwiches always tasted better, so I tried it her way. I enjoyed my sandwich undeniably more than ever before. Why hadn’t I been using more jelly this whole time?! I had been subscribing to the scarcity mentality — without even realizing it. I was living as though all resources had to be rationed out and could not be replenished. I felt like I had to use everything sparingly to preserve them for the next guy. The same scarcity mentality was evident in how I treated my possessions, too. I had many sheets of stickers I was saving for the perfect occasion and toys I didn’t play with, only to keep them nice and shiny for no apparent reason. It might as well have been my job to preserve everything for the next owner to enjoy. I was rationing out resources and saving possessions for the next owner. I was having my cake, instead of eating and enjoying it. I failed to see how plentiful blessings are to enjoy. I missed out on enjoying them thoroughly, all for the sake of preservation and scarcity. My wife gets all the credit for teaching me of the abundance mentality. Now I am on the lookout for ways to enjoy God’s blessings which have no end. Honestly, that one day knocked some perspective into me. Oh, and my sandwiches taste much better now. How does the scarcity mentality affect you?